Some flavors just naturally go together. 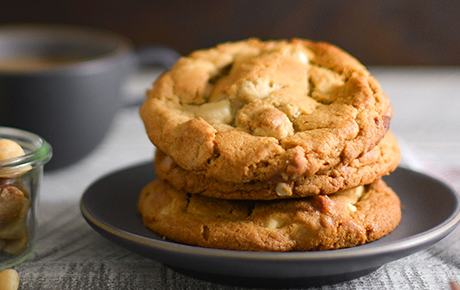 We take crunchy macadamia nuts and surround them with creamy white chocolate chunks for one of our most popular fresh baked cookies. We are bringing back this seasonal favorite for a limited time.